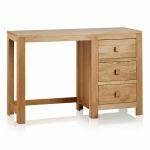 The Oakdale Natural Solid Oak Dressing Table promises an end to peering in the bathroom mirror to put your make-up on or style your hair. 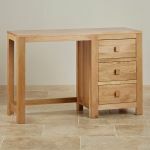 Handcrafted from premium grade solid oak, it offers three generously-sized drawers, which are perfect for tidying away all manner of items - from accessories to hair dryers and straighteners. 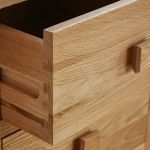 Each drawer is made using traditional dovetail joints with solid oak backs, bases and runners. 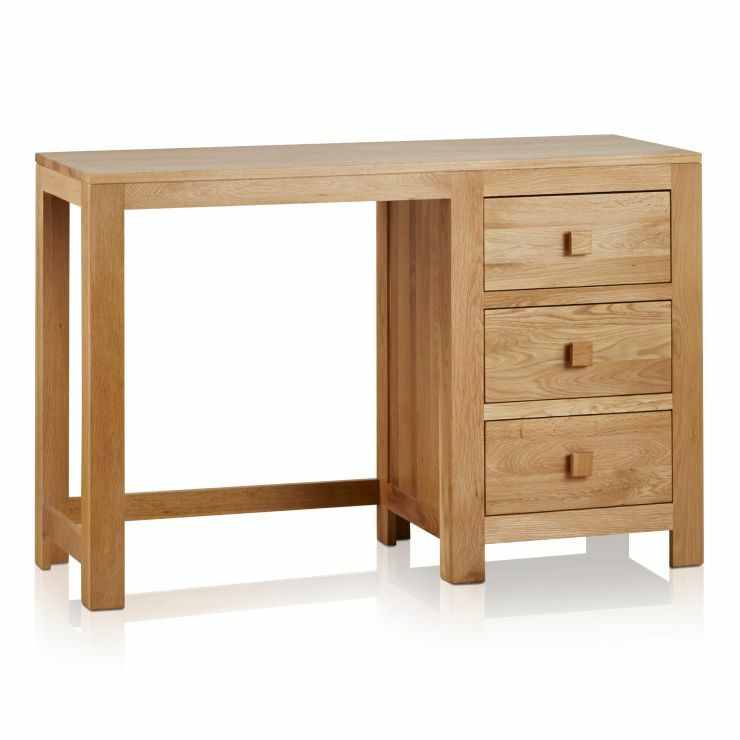 We only ever use the finest materials in our furniture, which means no veneers, no chipboard and no MDF. 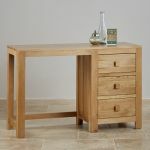 For extra strength and stability, the seating area is braced with two solid oak bars. 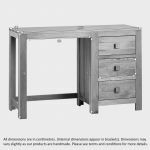 Make sure you check out the rest of the Oakdale Solid Oak collection for more fully co-ordinating items - for every room in the house!